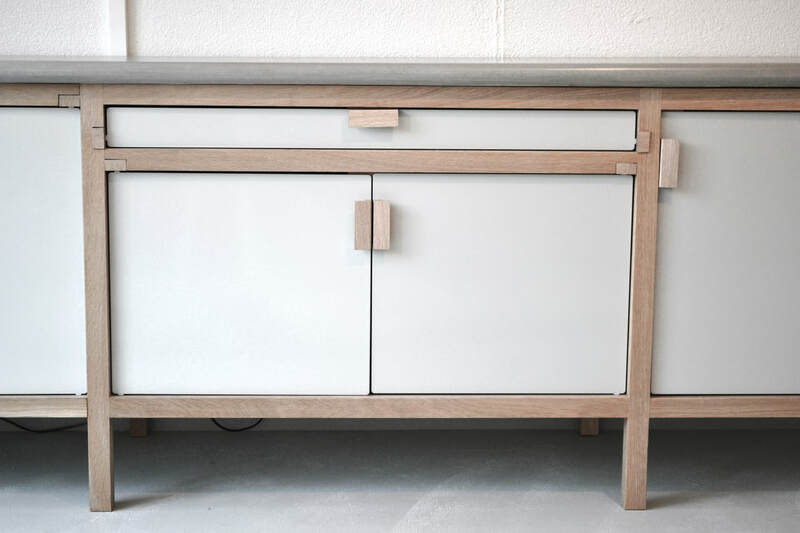 The concrete cabinet is a made to measure storage system with soft looking fiberglass reinforced concrete top. 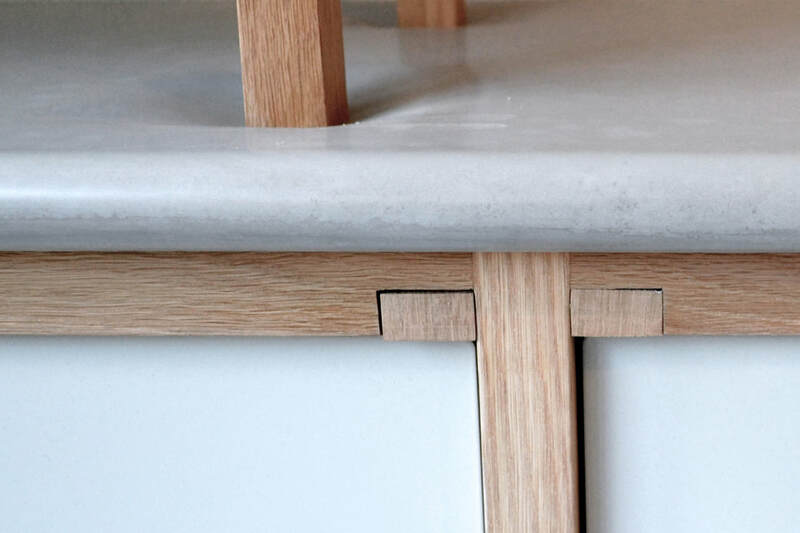 By pooring the concrete in a bag, the material naturally curves around the edges of the cabinet. 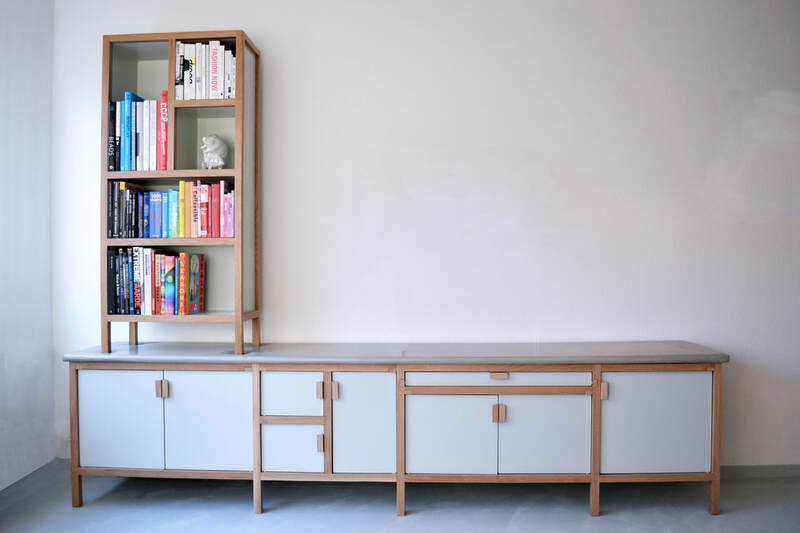 The legs of the standing bookcase appear to sink into the concrete top, adding to the stability of the cabinet. The modular cabinet is made to measure for each location and can be finished in all RAL-colors. Also available as a bespoke kitchen.